URL SEO Pro Magento Extension gives your store an edge over the competition. Once installed, you have full control over URL structure so that you can modify category and page URL's to fit your search engine optimization strategy. Having the ability to "flatten" your category structure can be a tremendous benefit for large catalogs with many deeply nested categories. Special characters and capitalization can also be used for the URL's of categories and products to make your pages stand out in search results. 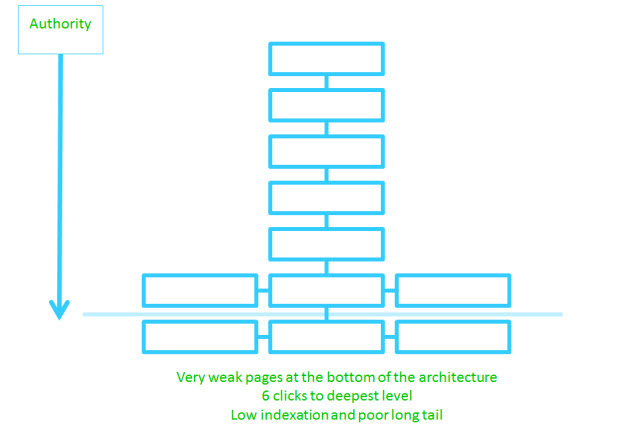 Why use a flatter site structure? Both from an SEO and usability perspective, the idea is to have as few clicks as possible to get to your deepest level of content (your product page). Ranking authority travels downward from your homepage, to your category pages and then onto your product pages. The more levels or subcategories there are to get through, the less authority ends up reaching your products. With a very deep category URL structure, not enough authority trickles down to to your product pages for them to show in search results. The process of "flattening" your category structure ensures higher indexation by the search engines, better flow of authority to your most important pages and the ability to capture more long tail traffic. Don't believe us? Check out Rand Fishkin's Whiteboard Friday video on the subject.